Just a few words to share this Lenguaje Dual Domingo. 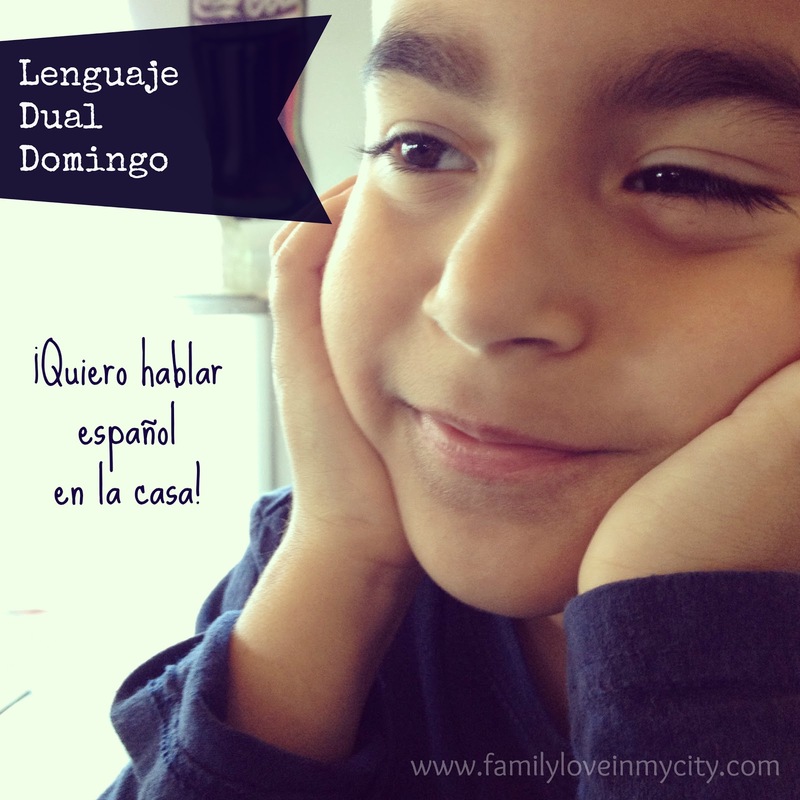 After 1 and 3/4 of a school year complete...my son said that he wanted to speak Spanish in our home more. Just one day, out of the blue, at dinner...he said it! "Quiero hablar español en la casa...más." Him saying this little sentence was so amazing! My son has been a little reluctant to speak in Spanish outside of school, so openly. I couldn't be more proud and thankful for his teachers, in that moment! So parents of English speaking children in Spanish immersion programs...just give it some time. Little by little their little Spanish brains are working and growing! Happy Sunday! Feliz Sabado! Espero que tengan in día maravillosa con su familia!